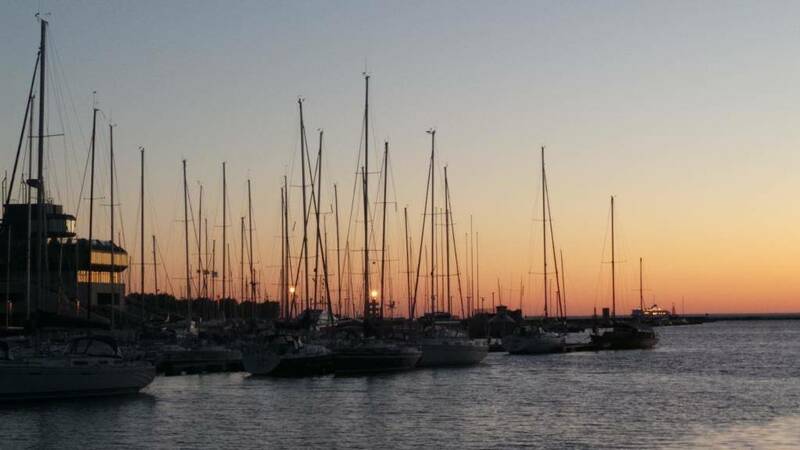 Andres Simonson, an Estonian American, writes about the reactions he gets when he talks about Estonia in the United States. Over the years, I’ve received many differing reactions from Americans when I tell them that I’m of Estonian descent. Some have been comical, like the person quoted above that thought I was a Bostonian. Or, there was the rather culturally unsophisticated individual that thought I was a custodian. No, I say – I’m not a Red Sox fan (The Boston Red Sox are a professional baseball team based in Boston, Massachusetts – Editor), I don’t have an accent straight from This Old House. Nor were my ancestors toilet bowl sanitisers by nationality. Some may have been custodians by trade, and that’s perfectly okay, but we’re not a nation of maintenance workers with a dust mopping chromosome. For background, I’m a first generation American. My mother was born in Tallinn, Estonia and my father in Tartu, Estonia. I consider myself American, well, because I am. And although I consider myself cosmopolitan, I believe in American exceptionalism. But I have a deep affection for my ancestral land. Maybe it’s the relative uniqueness of the situation. After all, the country’s population is only 1.3 million. Or, maybe it’s the associated hipness factor – it is a land of modern design and European fashion. But most likely, my attachment is a conscious effort to preserve a population and culture that have been historically oppressed by foreign occupiers, most recently and notably the Soviets. Many times the mention of Estonia to someone I’ve recently met induces a deep, blank stare. You can feel the person struggling with the atlas in their mind. Some will pause long enough, allowing me to know they want more information. Others will go for it, blank stare and all, even though they are unsure. With their mind’s atlas clearly turned to the wrong page, they will place the country anywhere from southern Europe to somewhere between North and South Dakota. That’s usually when I call my Senator demanding a budget increase to the national geography education curriculum. For those in the categories above, that don’t fully know the Estonian story, here’s the anecdote I tell in some variation: it’s a tiny country just south of Finland. We are a lot like Finns, just a little bit less cold in the winter. We like saunas, so much so that we put one on old tank treads so it can drive around. The sun hangs in the sky at 10 p.m. in the summer. The sun barely comes up in the winter. At Christmas we like to eat hog casings stuffed with barley, pork, and animal blood. Sometimes we carry our wives in competitive races that pay the winning contestants in their equivalent weight of beer. You know, we’re just like everybody else. Other times when I mention my Estonian heritage, I haven’t finished the fourth syllable and the person on the other side of the conversation is smiling broadly. Yeah, I know this person or that person – comes the general reply. They proceed to tell me a story, a remembrance of time spent with the Estonian individual. The memory typically involves some sort of relatively harmless hijinks, partially fed by youthful indiscretion and partially fueled by vodka shots. By the end, I can’t tell whether their impression of Estonians is positive or negative. I’m happily married now with three wonderful daughters, but the Estonian angle was always a great ice breaker with the ladies (author’s note: I love you Alice, and I’ll understand if you skip this paragraph). Problem was, it inevitably exposed some of dimmest bulbs on the hardware store shelf. Many couldn’t grasp matters that didn’t relate to the latest edition of their supermarket gossip magazine of choice. Many had very little knowledge of recent history and didn’t realise the extent of the atrocities committed by the Soviets in Eastern Europe during and after World War II. That was usually when I called my Senator demanding a budget increase to the national history education curriculum… and when I usually remained without a dinner date. Today though, thanks to the information age and globalisation, the Estonians are more widely known. Some know the Estonians are on the cutting edge of technology as the inventors of Skype and proliferators of universal wifi, internet freedom, e-commerce, and e-voting. Some that have followed the public feud between President Toomas Hendrik Ilves and Princeton University professor Paul Krugman, know the Estonians weathered the European economic crisis relatively well after instituting flat taxes and austerity measures. Armed with a smartphone loaded with Google Earth, anyone can instantly zoom into its location. Lucky ones can even find a bottle of Estonian vodka on the store shelf in the States. 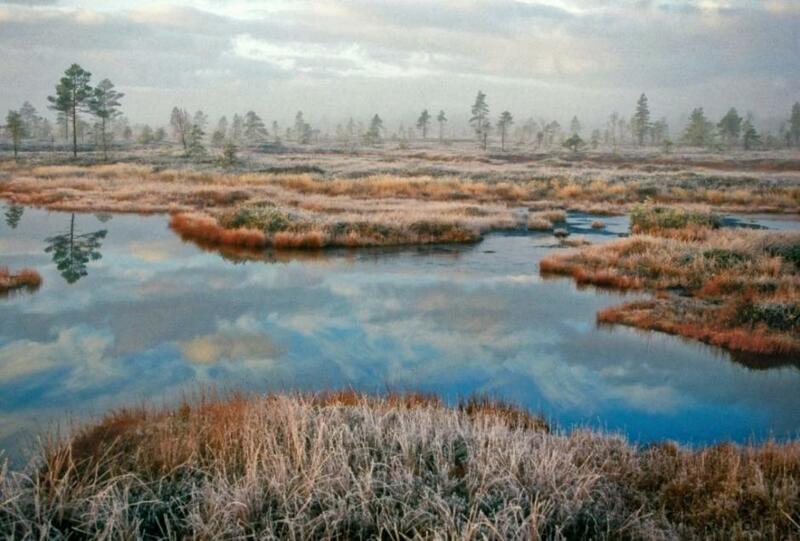 Cover: One of the many bogs in Estonia (photo by Arne Ader/the image is illustrative.) Please consider making a donation for the continuous improvement of our publication. Andres is first generation American of Estonian descent. An enthusiastic estophile, he is an environmental consultant holding a bachelor's degree in environmental science and a master's in city and regional planning, concentrating in environmental planning. He resides in Red Bank, New Jersey, with his loving wife and three darling daughters.